This week is Halloween and I made a lunch for Maddox last Friday that I thought would be a fun idea for some. 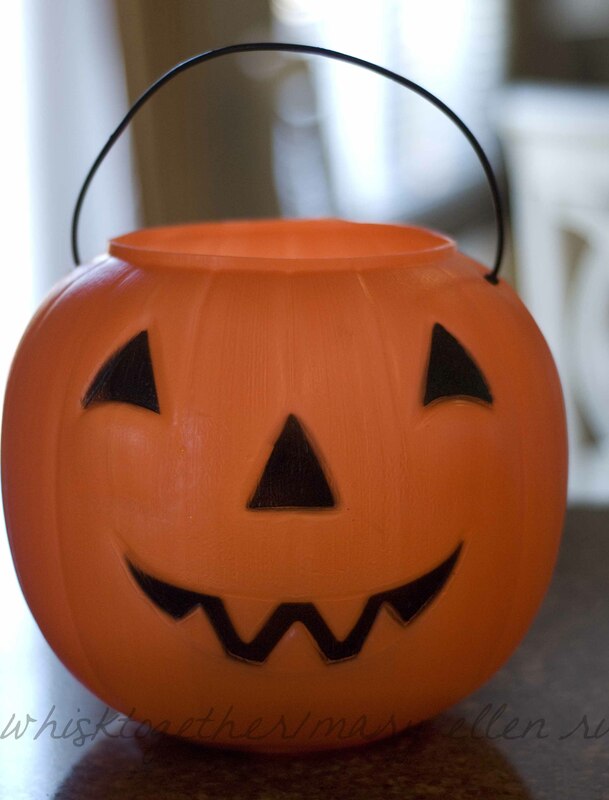 Most of us have or have seen the cheap little orange pumpkin trick-or-treat pail at the stores. I used this for a lunch box instead of his normal lunch. Since I bring him his lunch on Fridays, I didn’t worry about it keeping cold. This is something to consider, but peanut butter sandwiches and the like don’t require refrigeration anyway. 1. Since the plastic containers were hard to get in and out, I used baggies this time. I normally don’t, but it was a one time thing to use baggies. 2. 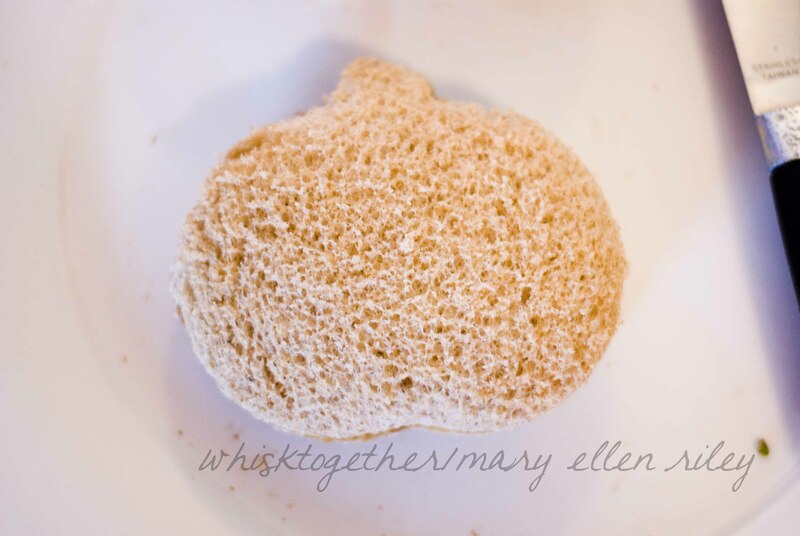 Make your child’s favorite sandwich. 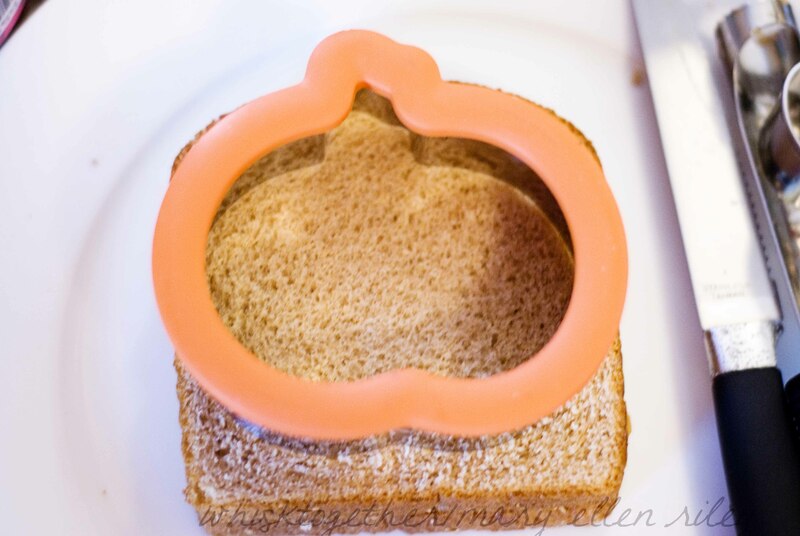 Then take a pumpkin cookie cutter (I found this Wilton one on clearance after Halloween last year) and cut the sandwich to look like a pumpkin. 3. 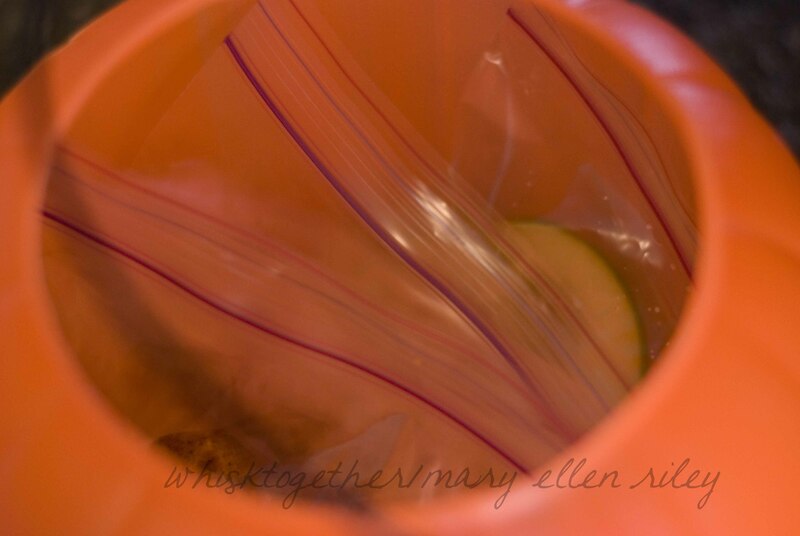 Make pumpkin apple slices: I cored the apple first and then sliced it into 1/4″ slices. 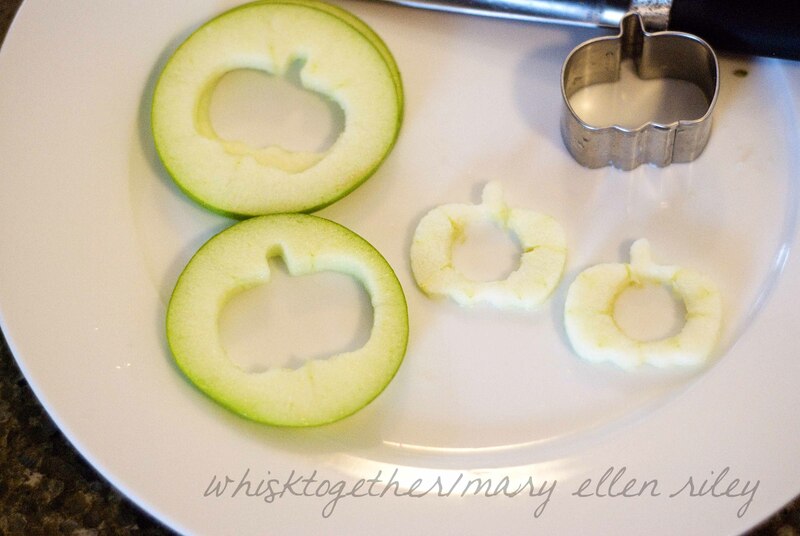 I used my Pampered Chef little cutter set to cut the small pumpkins out of the center of the apple. 4. 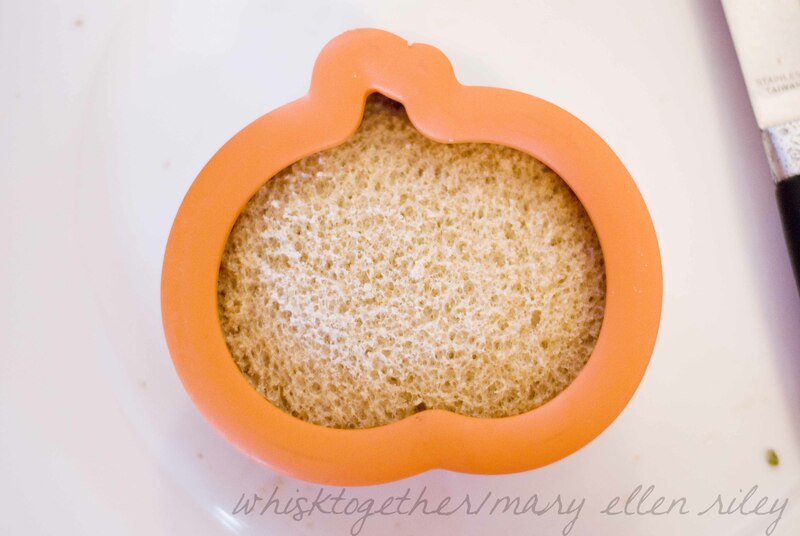 Make pumpkin pumpkin bread! 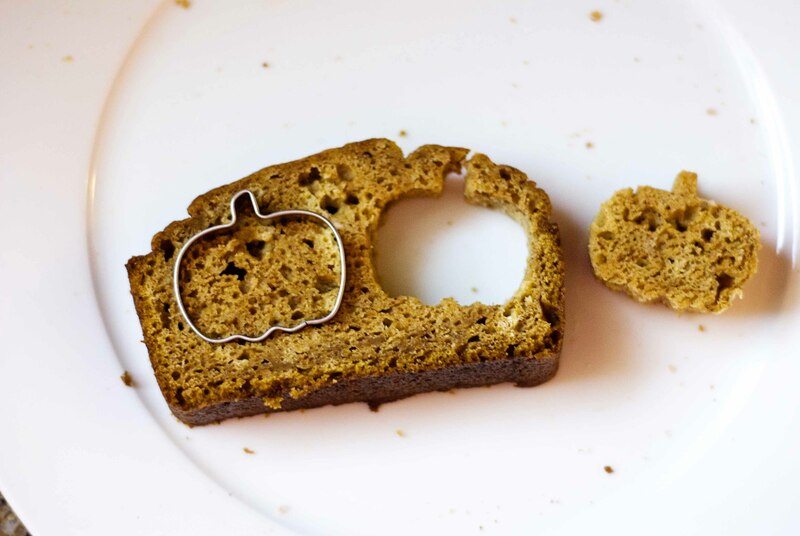 I sliced up some pumpkin bread I had in the fridge into 1″ slices. 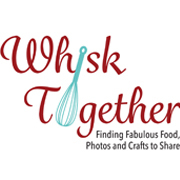 Then I cut them out using the same little pumpkin cutter. Here is what was inside. We all had a blast eating our “pumpkin lunch”! I bet all the kids at school were jealous!